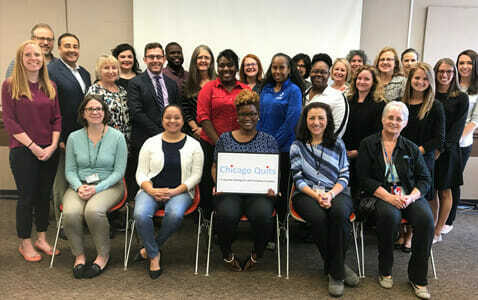 Chicago Quits is a city-wide strategy to bring quit smoking services to Chicago communities most affected by tobacco use. 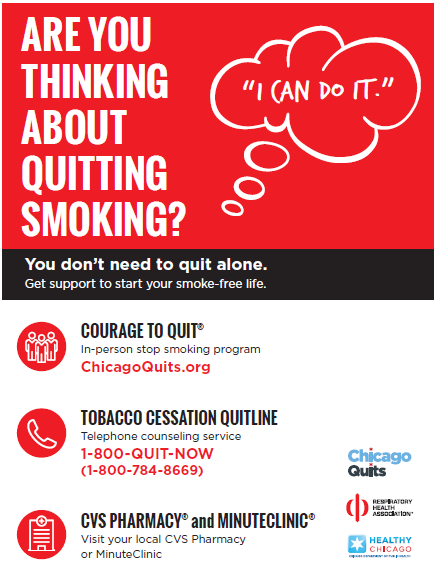 Chicago Quits brings the Courage to Quit® stop smoking program, nicotine patches and outreach to Chicago residents. RHA is partnering with 17 different health, social service, and housing organizations to deliver smoking cessation services at more than 100 locations across the city. Chicago Quits is funded with support by the Chicago Department of Public Health. If quitting smoking is your goal, RHA’s Courage to Quit® program can help you get there. Courage to Quit® is a stop smoking program that may be available to you one-on-one or as part of a group. 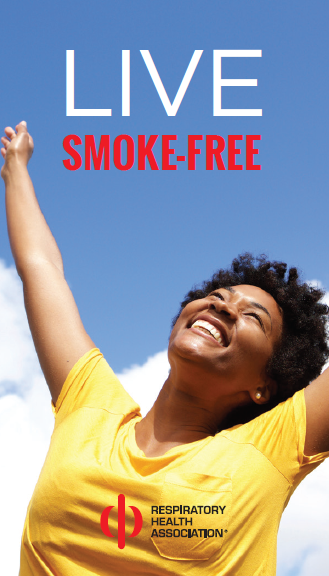 Each session includes information, practice skills, and support to help you reach your smoke-free goal. Our trained and certified Courage to Quit® program leaders are committed to help you achieve your smoke-free goal. Villa Guadalupe Senior Services, Inc.
Have questions about a Courage to Quit® program? Contact Lesli Vaughan at [email protected] or 312-628-0208. 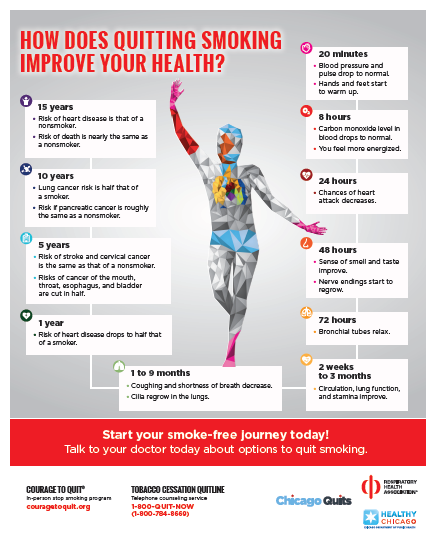 Interested in becoming a partner agency to bring quit smoking services to your clients? Contact Lainie Kast at [email protected] or 312-628-0241. Are you a Courage to Quit® leader? Visit our Chicago Quits Courage to Quit® Leader Page for additional information and resources.